Aggregate worldwide production of the Suzuki Swift compact car exceeded one million units at the end of May. 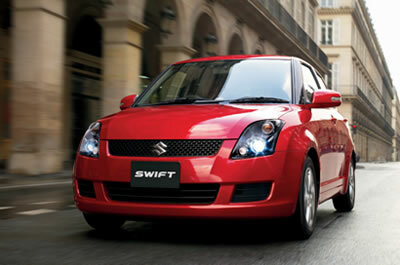 Suzuki began producing the Swift in Japan in September 2004 and in Hungary, India, and China soon thereafter. Swift production bases now also include Indonesia and Malaysia. Aggregate Swift production passed through the one-million-unit level three years and eight months after the first unit rolled off the line in Japan.The Swift reached this milestone more quickly than any other Suzuki compact car. The Swift (including a sedan version that Suzuki produces in India alongside the main hatchback version) is on sale in 115 countries and regions around the world.